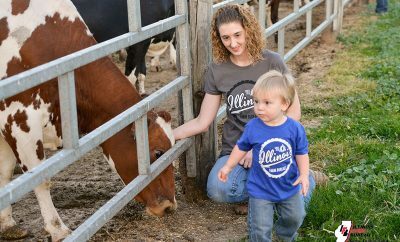 At a family farm near Maple Park, Illinois, the production pattern comes full circle. The crops feed the cattle, and the cattle feed the crops. 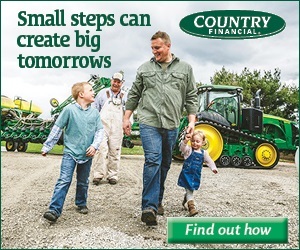 The Larson family grows corn, soybeans and wheat on 6,500 acres, equivalent to as many football fields, and they operate a feedlot, which feeds 3,300 cattle at a time to market weight. Corn, their farm’s primary crop, ends up as feed, ethanol fuel and cornstarch or is exported overseas. Their beef often is consumed at high-end restaurants. 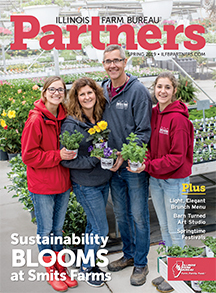 It’s a large family farm that supports a large family, including five households across three generations: parents, Ray and Carol Larson; children, Lynn, Norm, Dave and their spouses; and grandson, Justin, with a wife and two young children. 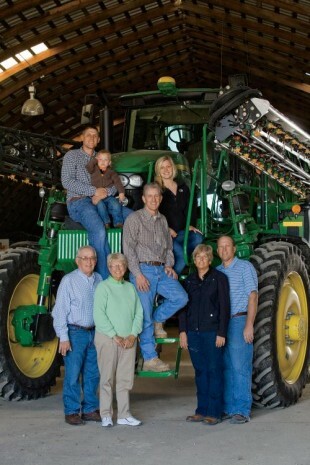 Each family member has a role on the farm, as do four full-time employees. Lynn manages the crop side of the farm with Norm and Justin. Mike manages the cattle side. 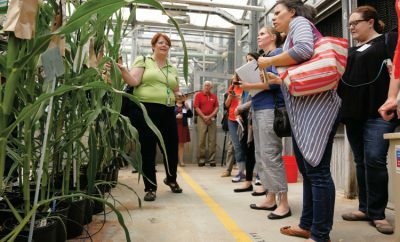 Lynn and Mike have been the primary hosts of students, teachers and field moms (part of the Illinois Farm Families program) who want to learn more about today’s agriculture. Those visitors respond especially to the technology and science-based decision-making. “We’re trying to do a better job all the time,” Lynn says. 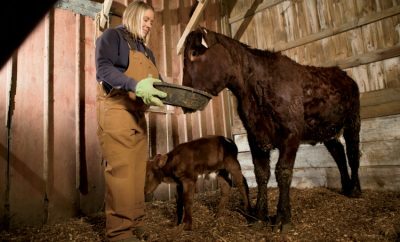 The family uses hospital-grade equipment to capture ultrasound images of the ribeyes in their cattle. The images determine the optimum feeding time on a nutritionist-created, high-energy diet before taking the animals to market. And they farm their fields by the foot, overlaying soil tests and production records recorded with global positioning technology that is more precise than the navigational device you may have in your car. The field data helps them create multi-year plans to improve crop productivity. The family has a long-range plan for the farm, a vision planted when the eldest generation, Ray and Carol, started the farmstead near Maple Park in 1965. 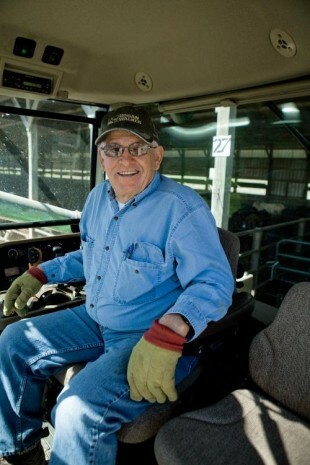 “We have a long ways to go to be a century farm, but that’s one of our goals,” Mike says.